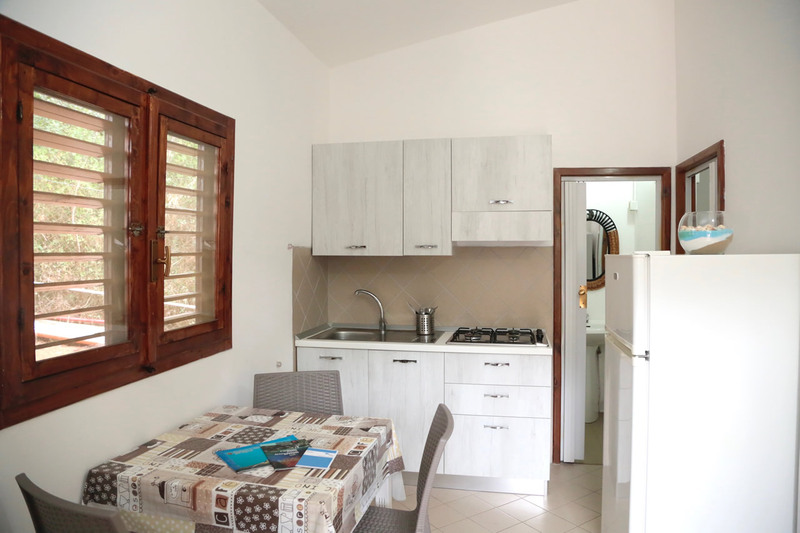 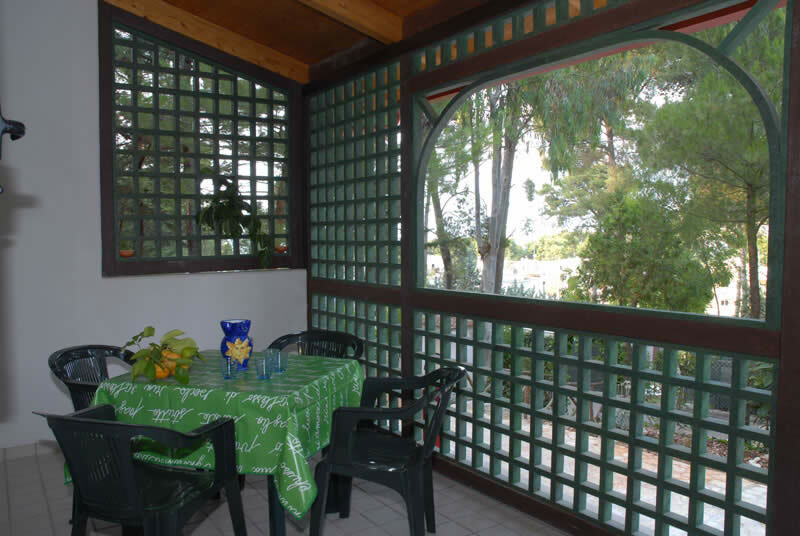 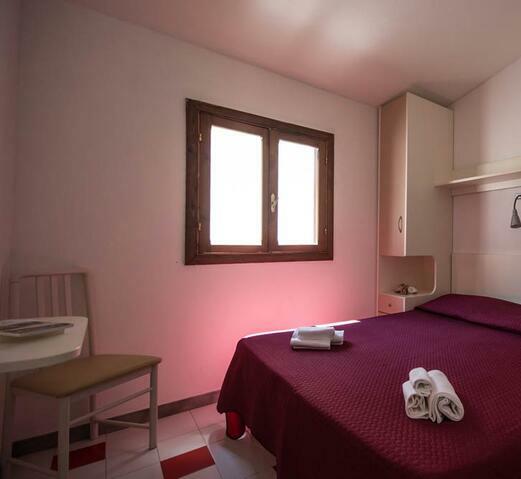 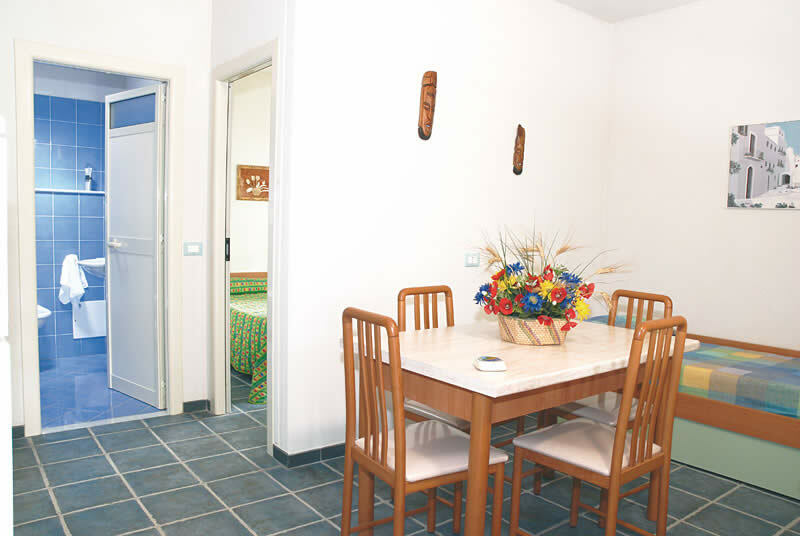 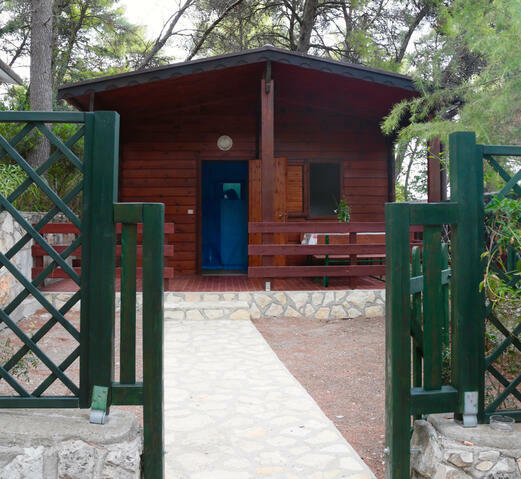 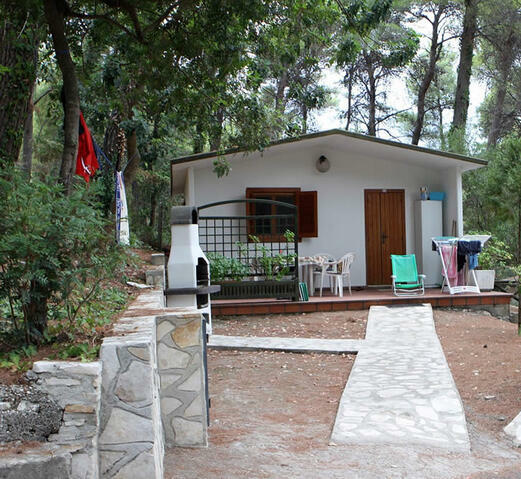 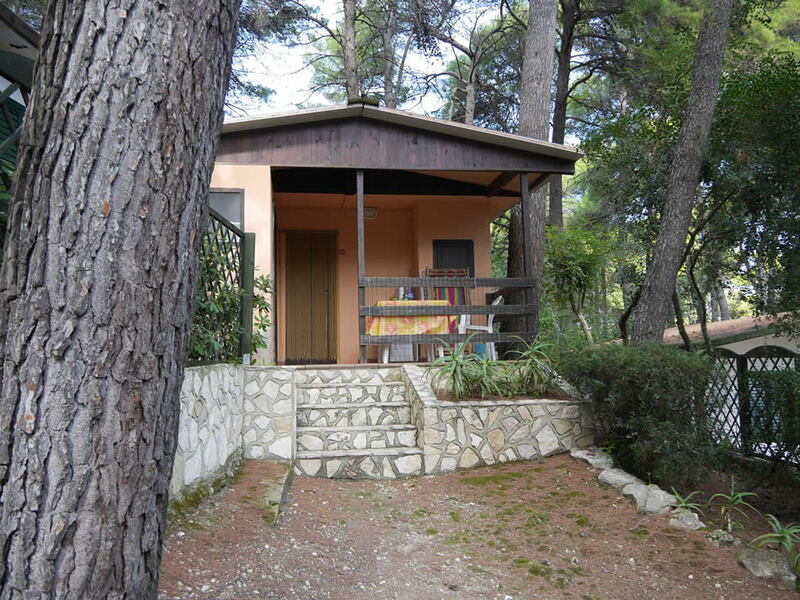 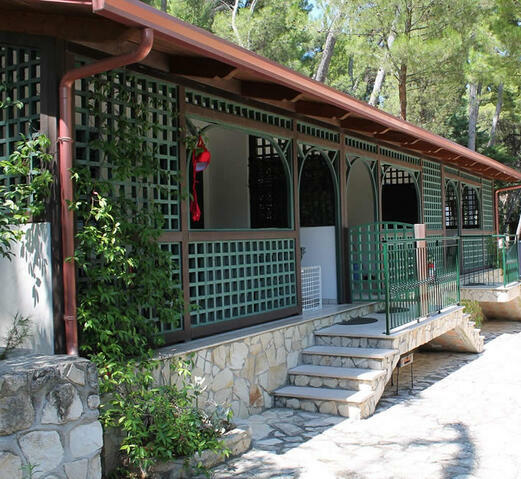 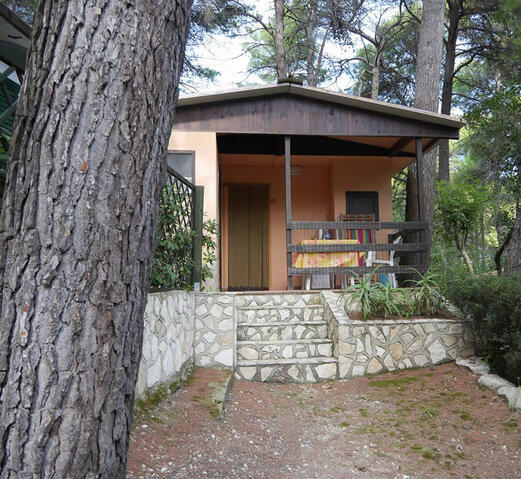 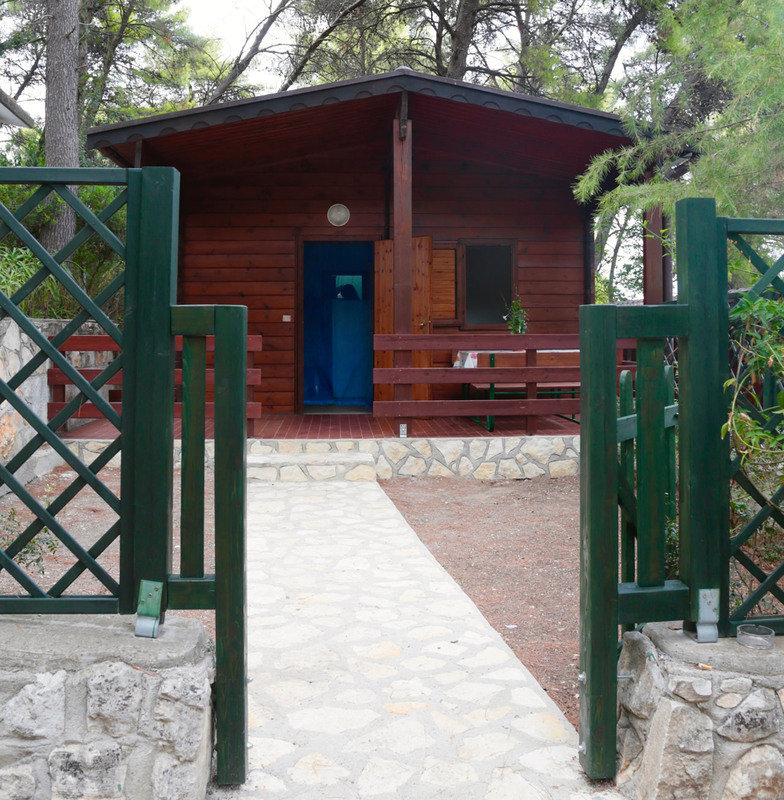 The apartments in International Village are located in one of the most beautiful pine forests of the Gargano. 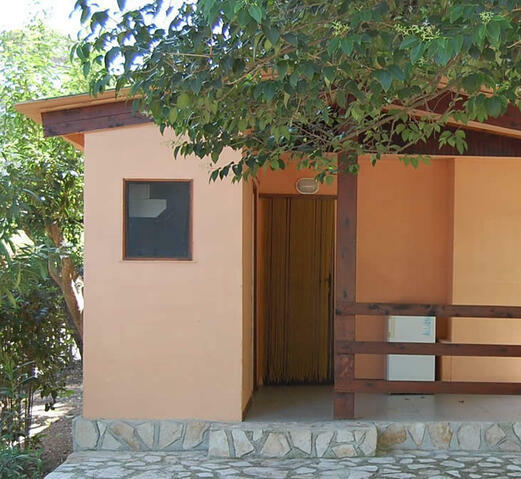 The single-family houses with separate entrance, in wood or masonry, are suitable to accommodate from 2 up to 6 people. 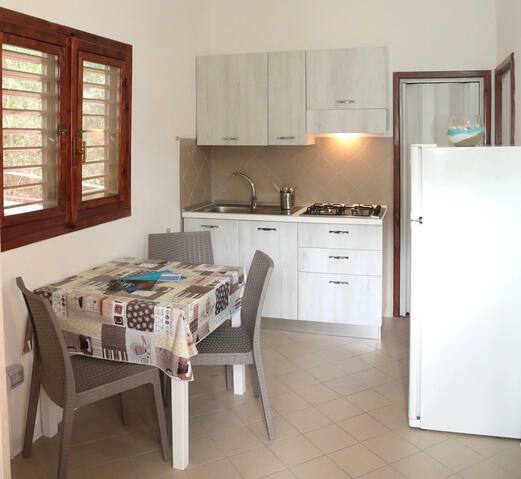 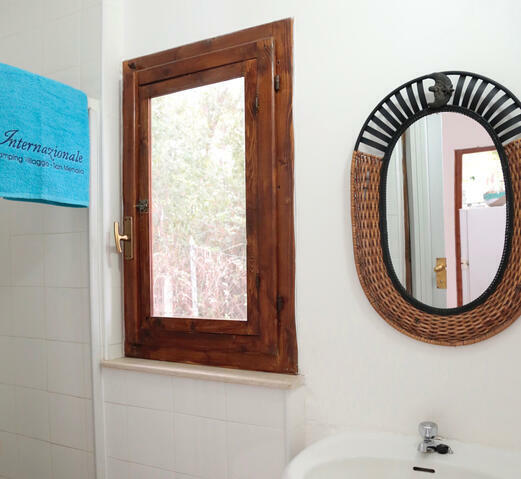 Terraced house in masonry with veranda equipped with table and chairs, stone barbecue, entrance hall with kitchenette, double bedroom with TV, private bathroom with washbasin, toilet and shower (no box, no shower tray). 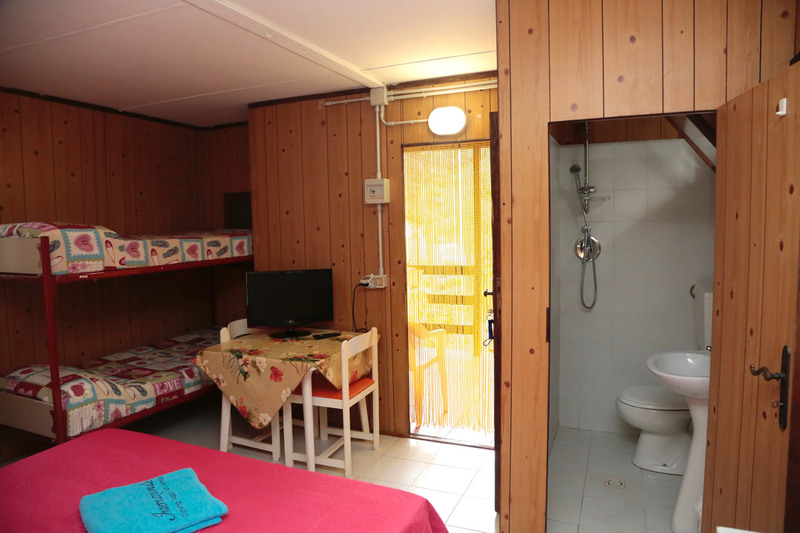 On request, the two-room bungalow can accommodate up to a maximum of three persons with the addition of a pouf single bed near the entrance. 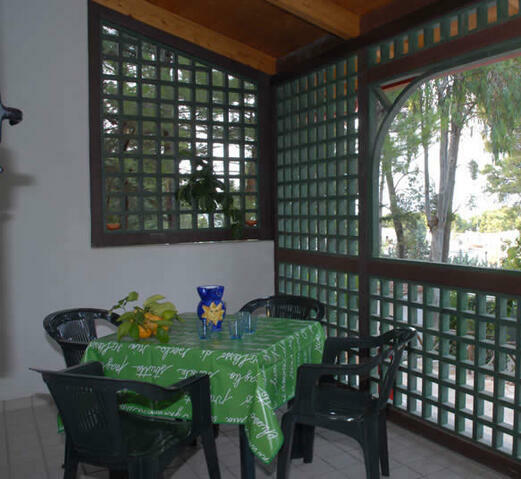 Some units have enclosed porch with gate. 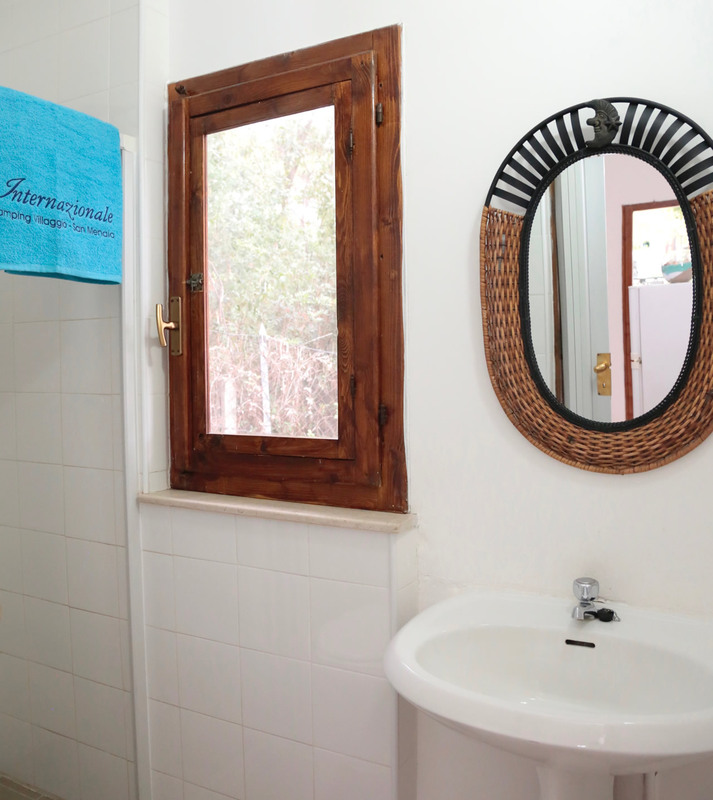 Air conditioning on request. 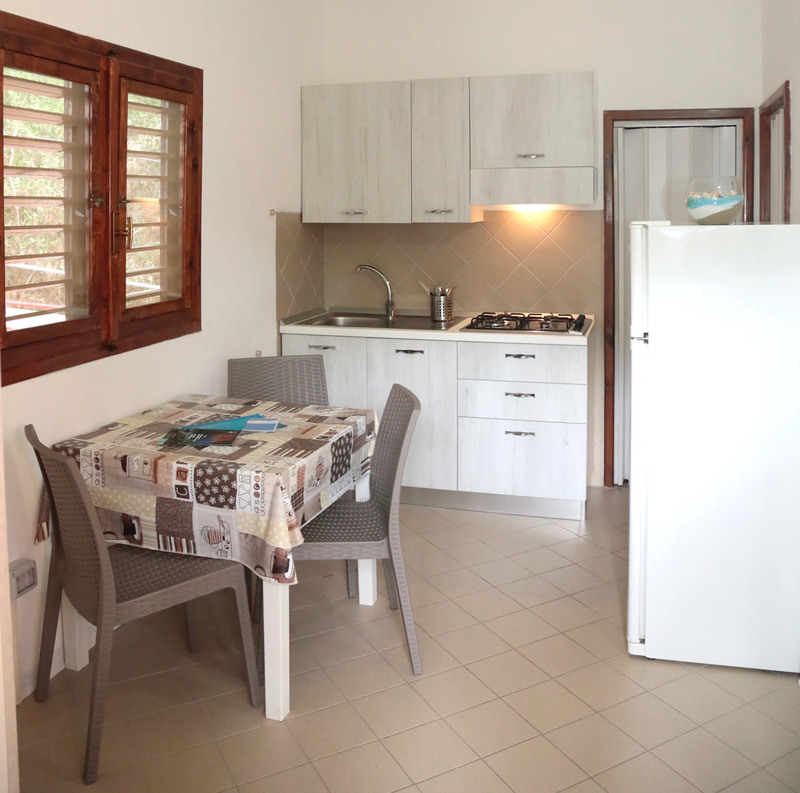 Terraced house in masonry with veranda equipped with table and chairs, delimited and closed by the gate; barbecue; entrance with equipped kitchen wall, TV, microwave, table and chairs, bridge wardrobe with a single bed; double bedroom; private bathroom with washbasin, bidet, toilet, shower box, hairdryer. 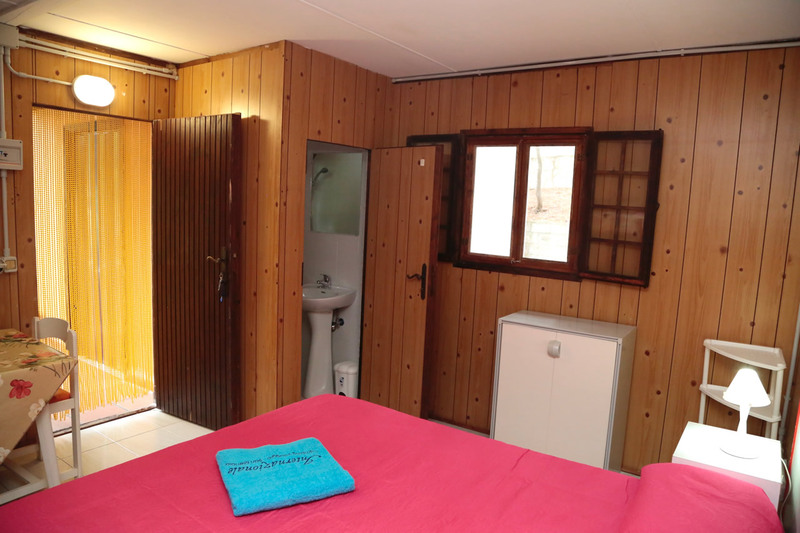 On request, the two-room bungalow can accommodate up to four people with the addition of a single foldaway bed in the living room. 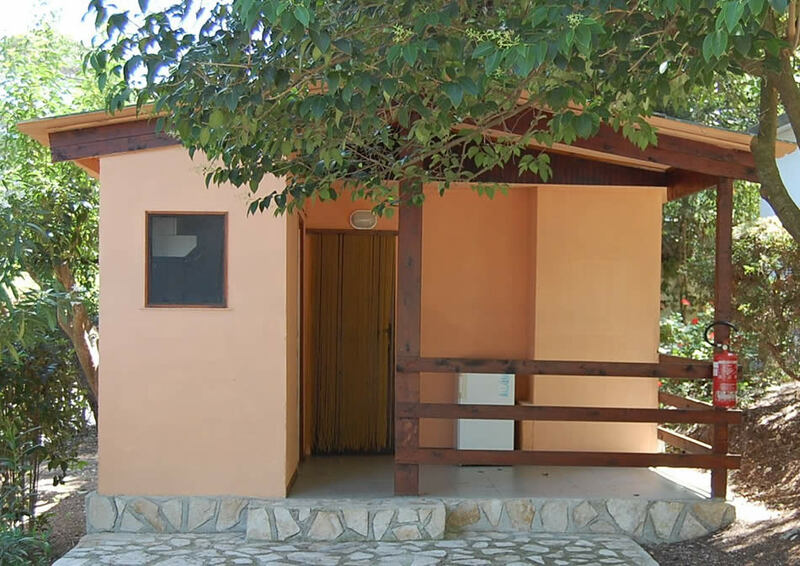 House in masonry, single-family, detached, with veranda with table and chairs and barbecue; entrance with kitchenette, table and chairs, TV; double bedroom; another double room with single/bunk beds; private bathrooms with washbasin, folding door with toilet, bidet and shower. 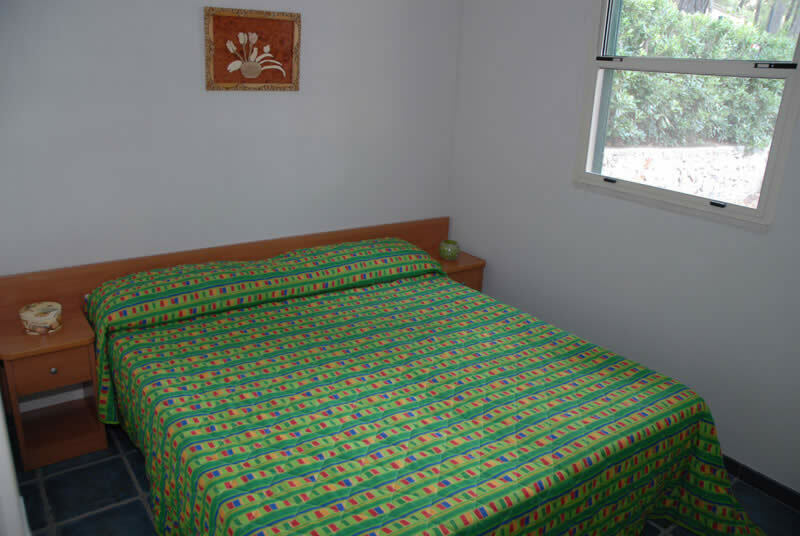 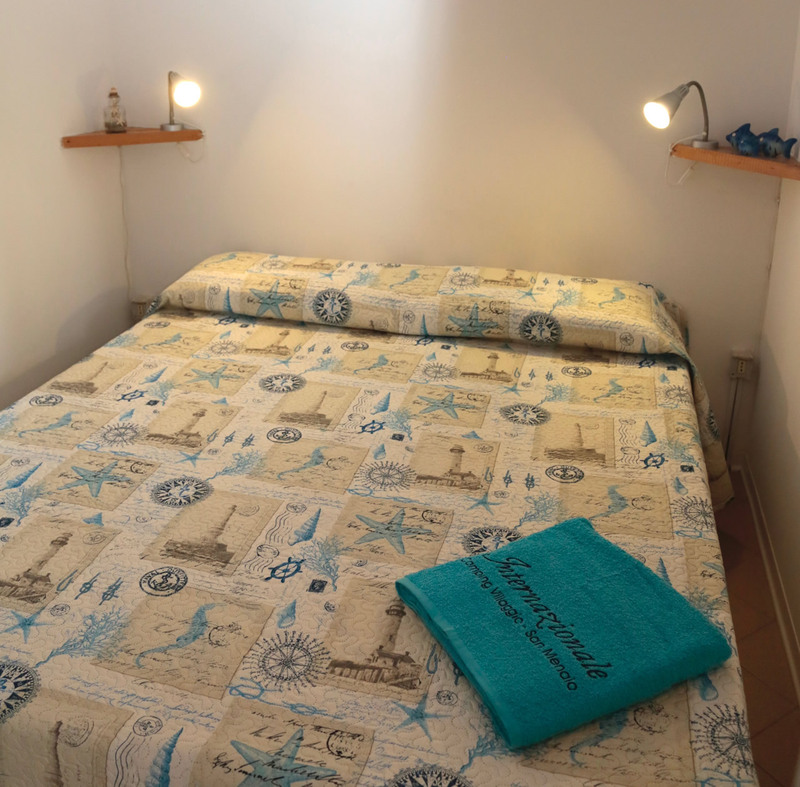 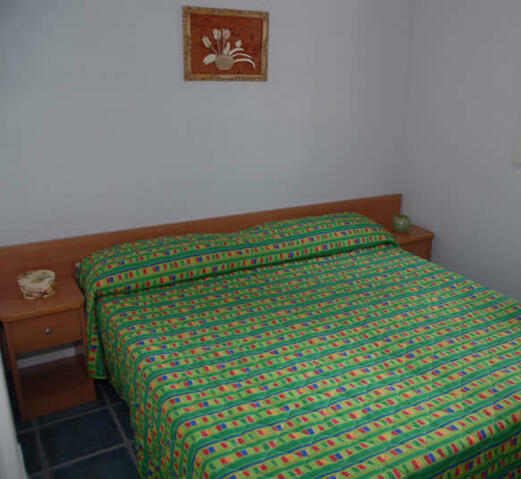 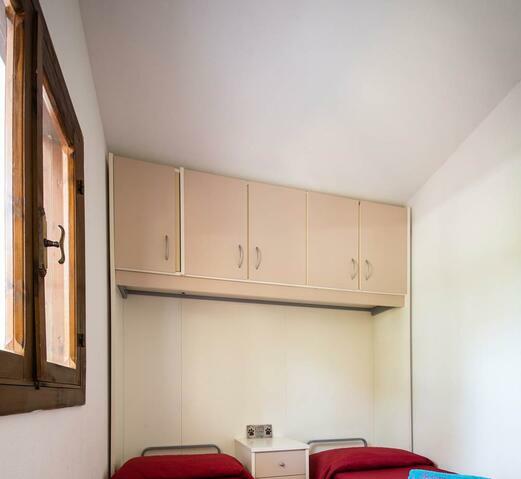 On request, the apartment can accommodate up to a maximum of six people with one or more additional single or bunk beds in the room or at the entrance. 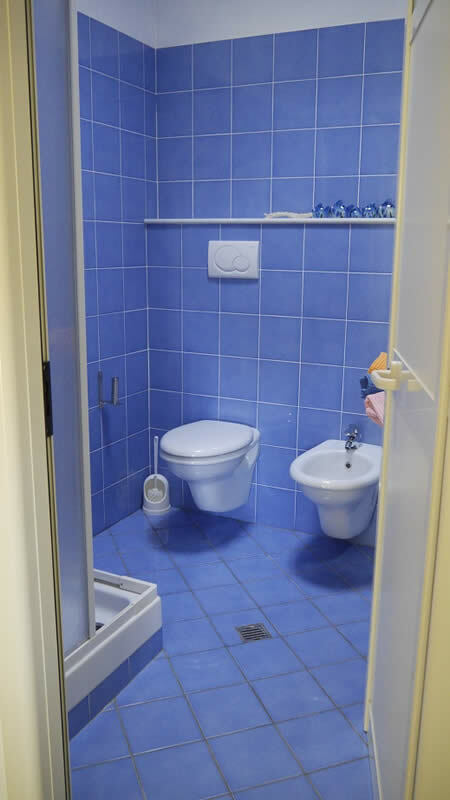 Some units have private delimited garden and/or air conditioning. 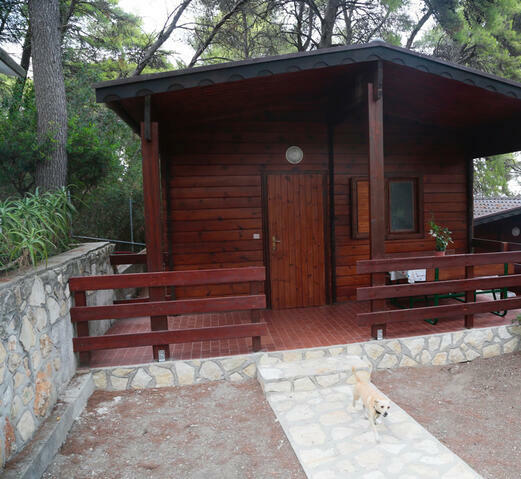 Lightweight wood house for camping lovers. 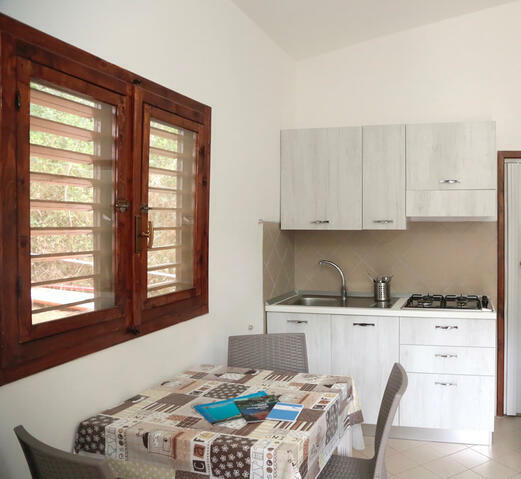 Covered veranda with table and chairs, which leads to the fully equipped kitchenette; direct entry to the master bedroom; private bathrooms with washbasin, toilet, shower (no box, no shower tray). 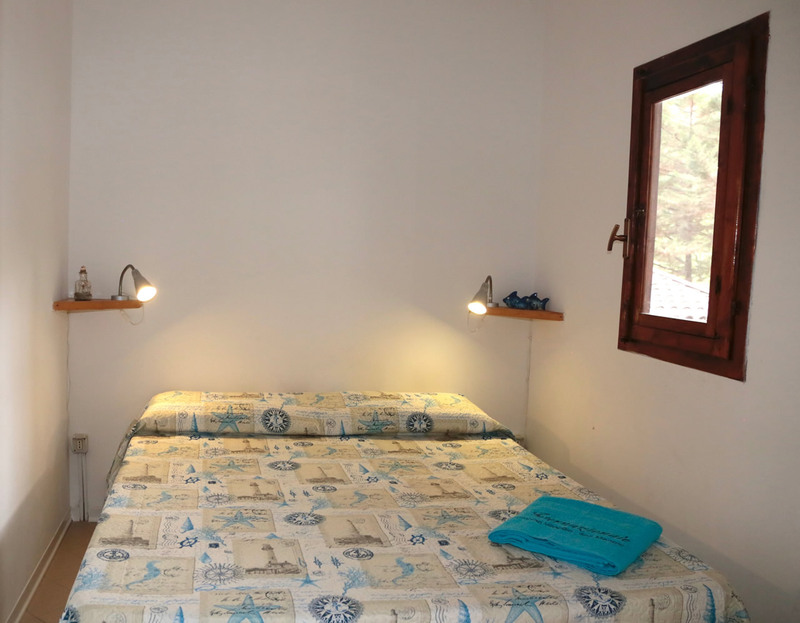 On request, the single-room chalet can accommodate up to a maximum of three people with the addition of a single bed. 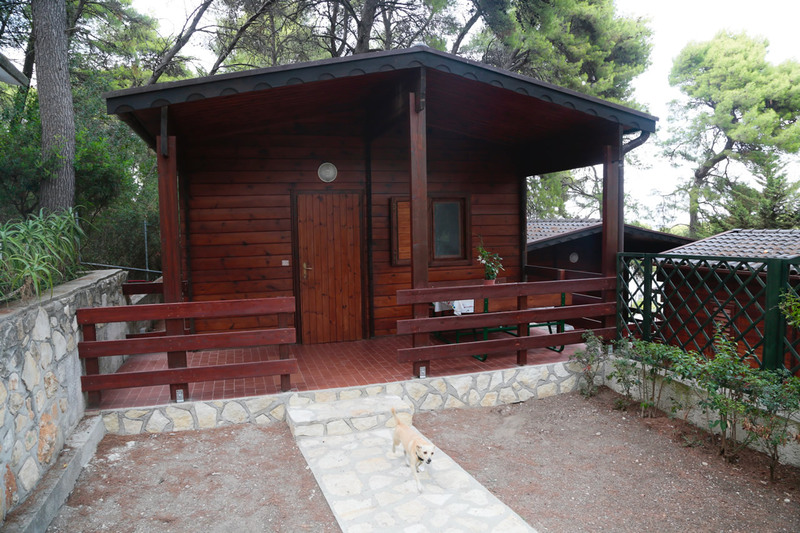 Single-family lightweight wood cabin for camping lovers. 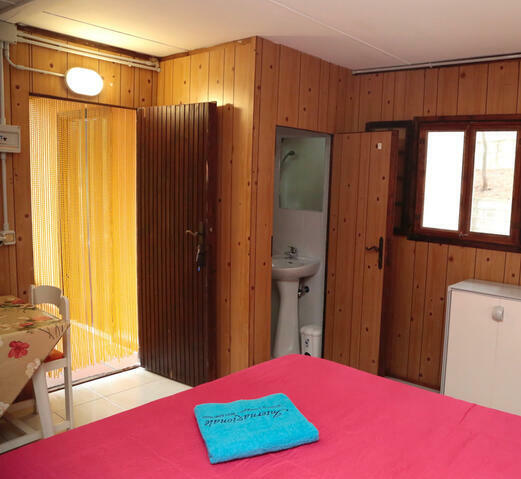 Covered veranda with table and wooden benches; entrance with well-equipped kitchenette, table and chairs; master bedroom; double room with bunk beds; private bathroom with washbasin, toilet and shower. 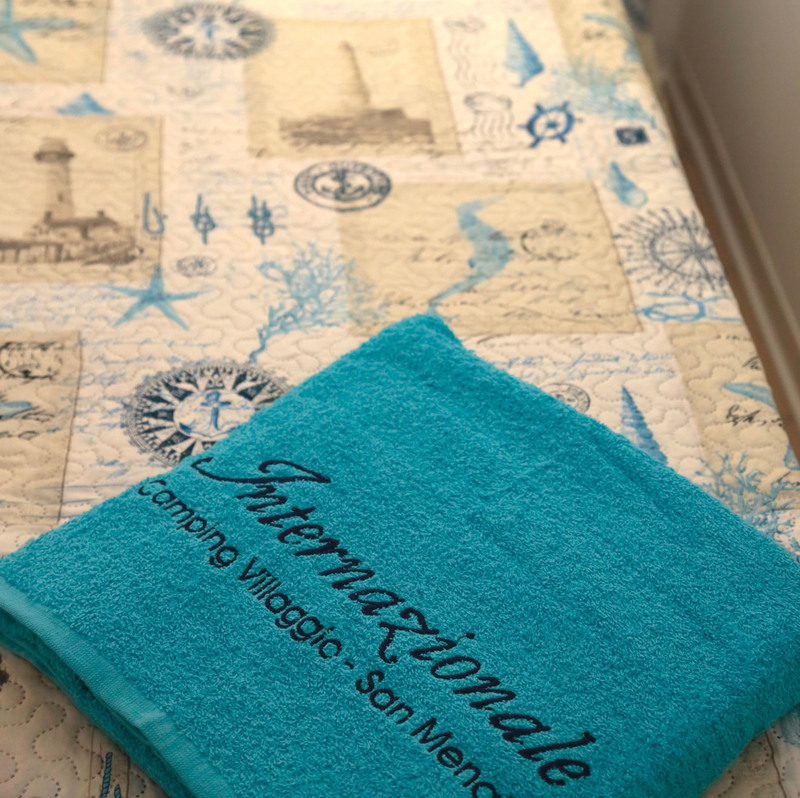 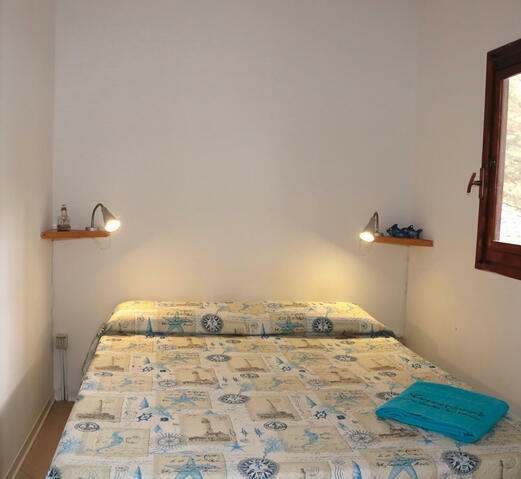 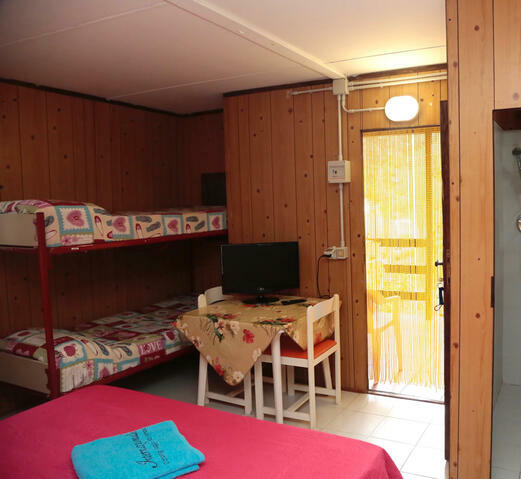 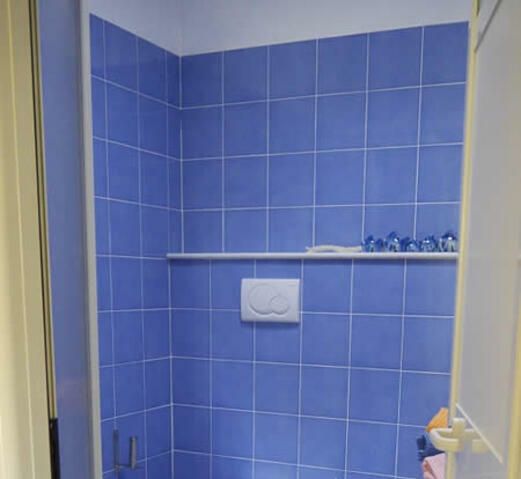 On request, the three-room chalet can accommodate up to a maximum of six people with the addition of one or more single/bunk beds in the double room. 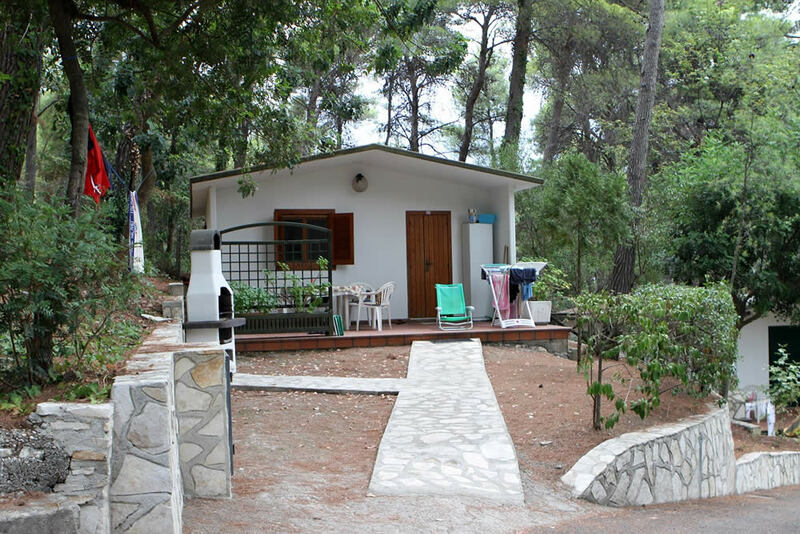 Strategic position of the Campsite allows the guests to enjoy the sun and the sea, to regenerate in the shadow of the pine forest without giving up on the convenience offered by a small town. 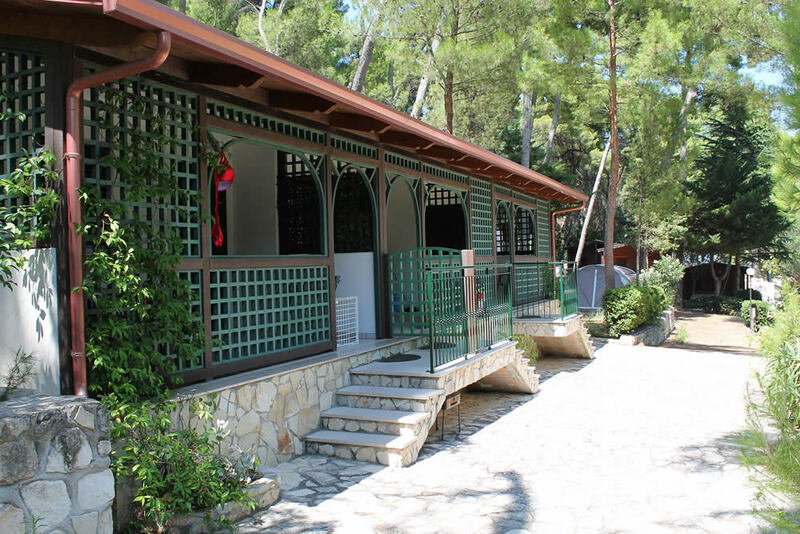 Forget the car, a few steps away we find the bakery, the grocery, the butchers, local fruit and vegetables stand, tobacco shop, newsstand, souvenirs shop and pharmacy. 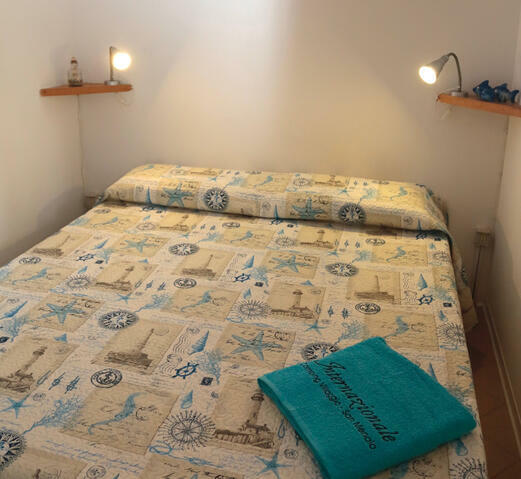 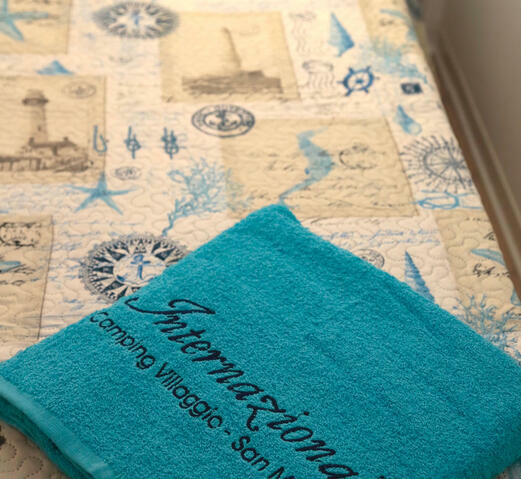 In addition, by local train you can reach nearby Rodi Garganico and in few minute-drive, the historic towns of Vico del Gargano and San Menaio.